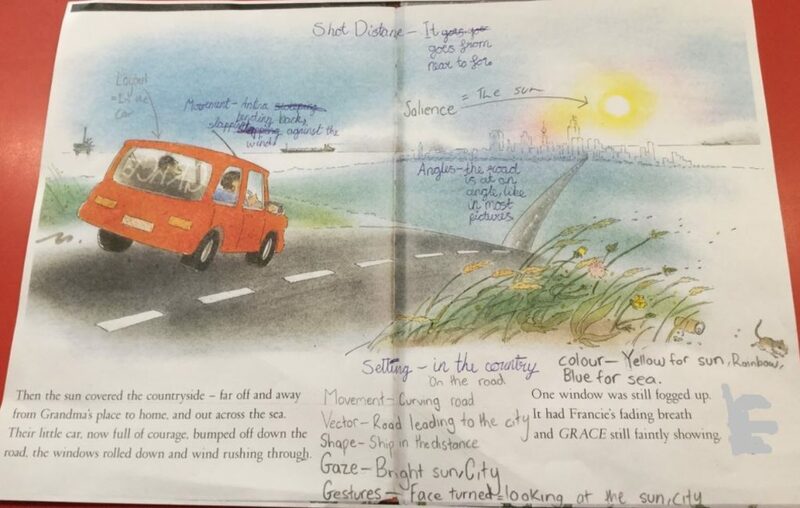 Recently, I wrote about plans to explore visual literacy with Year 5 using the CBCA Short List Picture Books. With the lessons now complete, this post provides an update on progress and shares some student work examples. The CBCA short list picture books provided a wonderful opportunity to connect with a range of quality literature. The books contained insightful social and emotional context and differing styles of illustrations, they proved to be exemplary for exploring visual literacy. As outlined previously, visual literacy or visual grammar provides terminology to help understand and describe features of an image that create visual meaning. We learn who or what is in the picture, the activities involved, interactions between characters, emotions, and how the image catches our attention. Examining images in picture books also helps to add meaning and build depth to the story. Once we had completed reading and exploring each book, students worked with a partner and selected one of the books and one image to focus on and annotate. Students referred to the visual literacy guide which provided examples of terminology and direction on how to organise their summaries. Overall we were highly impressed with the level of student engagement and commitment to learning. 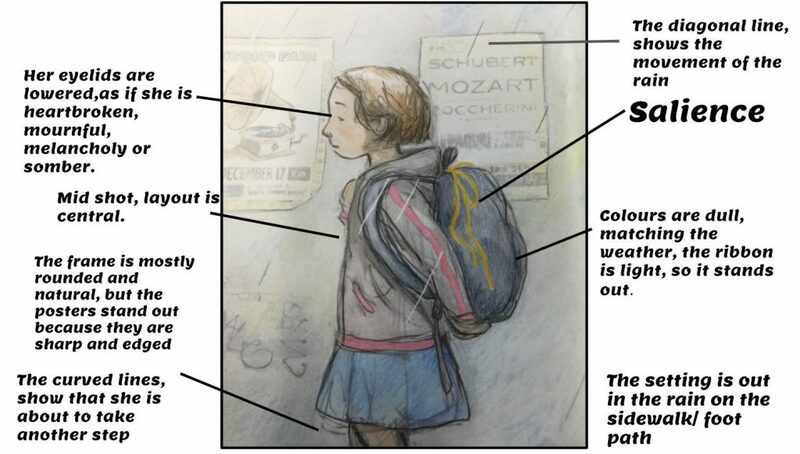 Some students selected to take a photo of the image and add annotations using Word inserting callouts, while others were provided with a colour photocopy of the image to annotate by hand. Once complete the students uploaded their work onto the school LMS allowing for sharing and feedback. 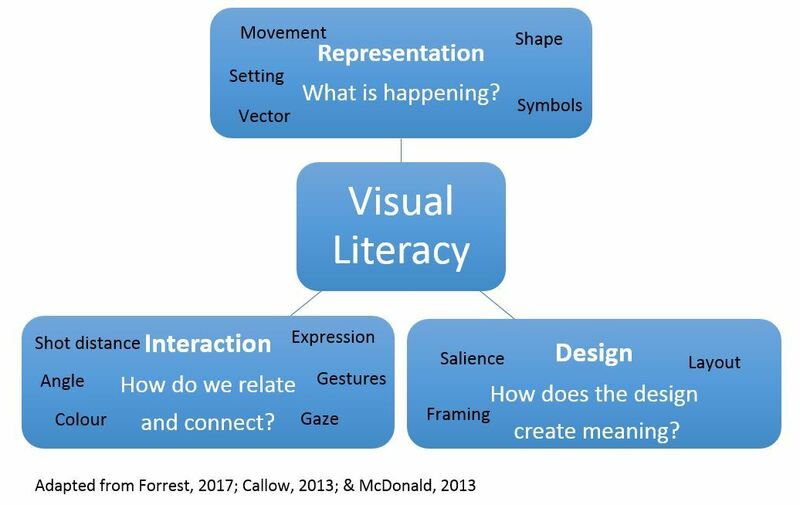 Pantaleo (2016), in an observation of teaching and learning visual literacy lessons with primary aged students, suggests focusing on one visual literacy element at a time and having students write a personal response of their learning after reading a picture book. Callow (2016), highlights the many opportunities of the Australian Curriculum to read and engage with books to explore visual literacy. 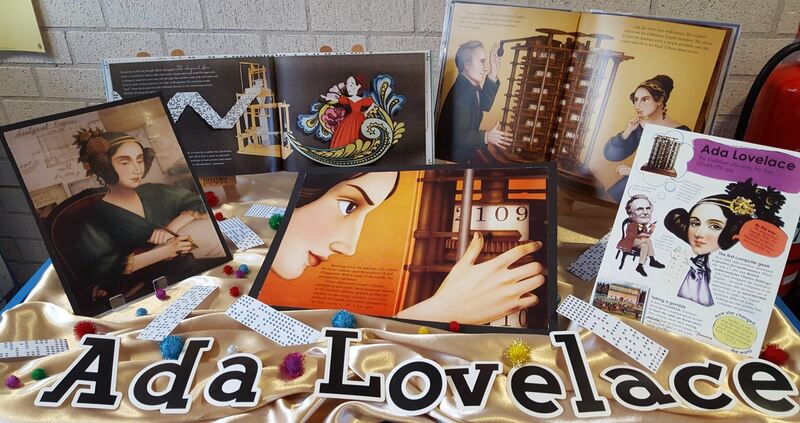 He encourages us to create opportunities for students to investigate picture books to locate visual literacy elements and to allow students to create their own images using visual literacy learning. Using the CBCA short list picture books allowed for an outstanding series of learning experiences. 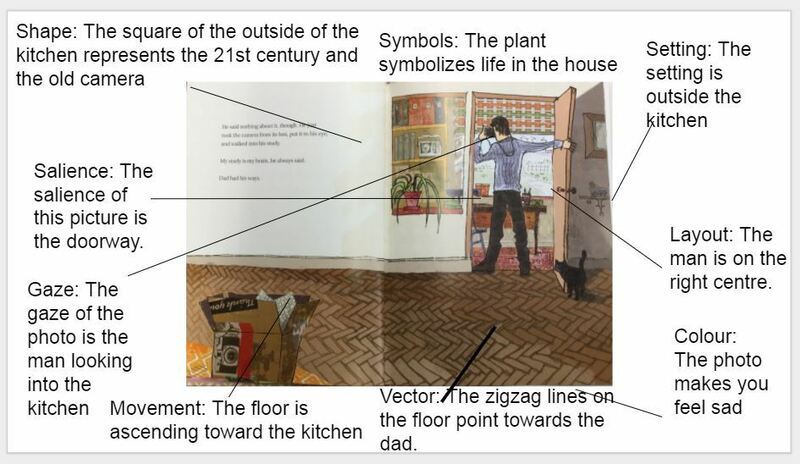 Following a few simple steps to introduce visual literacy and providing for students to explore and respond with examples can be adapted to a wide range of purposefully selected picture books.